Can be worn out with shorts, nice finished bottom with side slits (see photos). BRIGHT, COLORFUL, & SO CUTE! Gift Wrapped for Easy Gift Giving! (Gift wrap may vary). 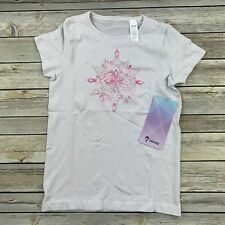 Graphic “Stay Cool” in pink with colored sprinkles printed on t-shirt. 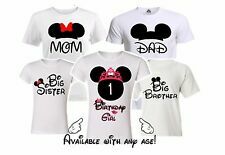 Mickey Birthday Family Matching T-shirts. 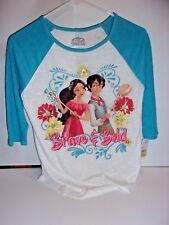 Disney Vacation White party shirts. Color: Naked - Off White Floral. Ruffled Sleeves can be worn across Shoulder or under Arms. Girls' Embroidered Tank Top Straps- Art Class- Winter White - Large 10/12 Cute! Care and Cleaning: Machine wash (Wash) & Tumble dry (Dry). 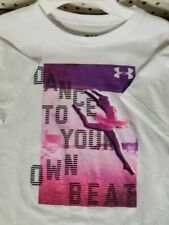 Material Lining: 100.0% Cotton. Pattern: Woven pattern. Neckline: Off the shoulder.